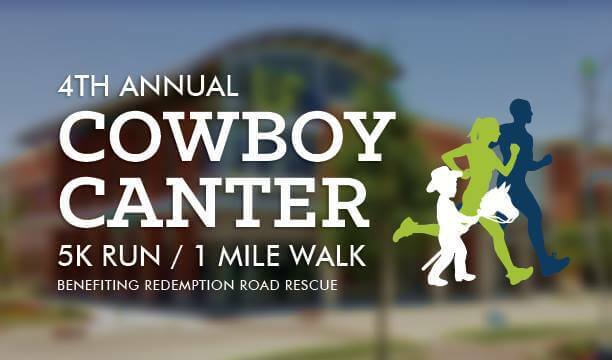 Join Redemption Road Rescue for the 4th Annual Cowboy Canter! First Qualifier in the West Tennessee Race Series 5k Run/1 Mile walk benefiting Redemption Road Rescue. Bring the whole family (dogs too) for a fun morning. Medals for 1st, 2nd and 3rd place per male and female age groups. Trophies for overall winners. $25 entry; first 100 pre-registered by March 1st receive a t-shirt. To register please click on the LEARN MORE tab below!